This week’s free game on the Epic Store kicked off with a rather embarrassing issue. Tom Happ’s Metroid-inspired side-scroller Axiom Verge hit Epic’s new storefront this week as one of its regular weekly free games. But when budding adventurers entered the game’s third area, a sound error caused their games to crash. Funnily enough, the file causing issues was Steam.xnb - an audio file related to steam pipes in the area, and nothing to do with Valve’s monolithic platform. But the Bellevue giant may have, at least inadvertently, been partially to blame for a development mix-up. 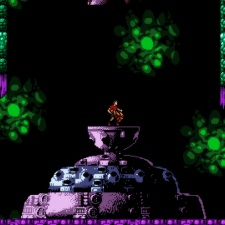 Axiom Verge has since been updated to restore functionality. But perhaps more pressing for Epic is that troubleshooting the problem required tech-savvy fans to congregate on Steam’s community forums. Epic currently lacks any sort of platform for feedback or discussion. Against toxic communities and review bombing campaigns, this has been a blessing. But in this case, and as games increasingly become Epic exclusives, it may want to keep its users on its own platform for support. Epic's Store was announced in December and was met with a positive reaction from the industry largely due to its 88/12 revenue share. Steam's 70/30 split has come under pressure, with this year's GDC market survey showing that developers feel Valve isn't doing enough to justify this slice of the pie. The Fortnite firm is trying to establish itself in the market and has started signing exclusive titles such as Metro Exodus. That deal with Deep Silver has been somewhat messy, given that the game had been available on Steam and had been for five months. So while Epic's Store has been met with a largely positive reception, there is still work to do when it comes to the specifics of its offering.